Adam is a member of the BetaShares Distribution team responsible for supporting Institutional and Intermediary Broker and Adviser channels. 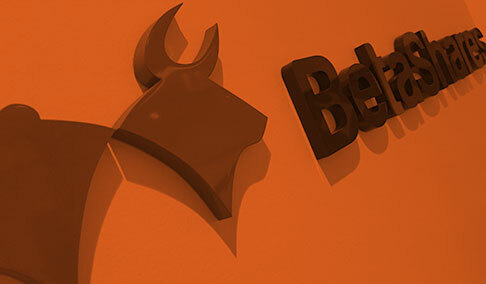 Prior to joining BetaShares Adam worked in stockbroking and advisory with Bell Potter Securities. Adam holds a Bachelor of Laws with Honours and a Bachelor of Business (Finance) from the Queensland University of Technology. Adam also holds a Diploma of Stockbroking from Deakin University and is an accredited Financial Adviser in Securities and Managed Investments and Superannuation. Alex is a member of the BetaShares Distribution team, responsible for supporting Institutional and Intermediary Broker channels. Alex previously worked in London in the foreign exchange fund and institutional space and was most recently a Sales Manager at World First, a foreign exchange firm. Alex holds a Bachelor of International Studies from the University of New South Wales. Alex is responsible for leading the strategy and overall management of the business. Prior to co-founding BetaShares, Alex was closely involved in the establishment and development of several leading Australian financial services businesses including Pengana Capital and Centric Wealth. Alex is a director and principal of Apex Capital Partners, a financial services focussed investment firm. He is also a director of Toranotec Ltd, a Japanese asset management firm that delivered the country’s first smartphone-enabled automated investment service. Alex previously worked at Turnbull Pillemer Capital, where he focussed on identifying and managing investments across the financial services industry. Prior to commencing his career in financial services, Alex was a lawyer at Baker & McKenzie, specialising in mergers and acquisitions and financial services. Alex holds a Bachelor of Commerce (Finance) and a Bachelor of Laws from the University of NSW. Alistair is a member of the BetaShares Distribution team, responsible for supporting Institutional and Intermediary Broker channels. Prior to joining BetaShares, Alistair was based in London, working at European ETF provider Lyxor Asset Management, where he managed client relationships and due diligence for Northern Europe. Alistair holds a Bachelor of Mechanical Engineering with Honours from The University of Manchester. Anton is BetaShares’ internal legal adviser and is also responsible for managing the compliance function. His experience in the funds management industry includes the role of Head of Legal for Macquarie Funds Group in Sydney and Regional Head of Legal & Compliance for INVESCO Asia Pacific in Hong Kong. Anton holds a Bachelor of Laws and Bachelor of Economics from Monash University. Blair is responsible for supporting the distribution of BetaShares funds to Advisers across the Victoria & Tasmanian regions. Previously, Blair worked at Macquarie Bank in Distribution and Key Account roles within the Specialised Investments team. He has also held roles within NAB Wholesale Banking. Blair holds a Bachelor of Arts (Politics & History) and a Master of Management (Finance) from Melbourne University. Chamath is responsible for the portfolio management function of the business. Prior to joining BetaShares, Chamath was a fixed income trader at the Reserve Bank of Australia, working in their foreign reserve operations in Sydney and London. Chamath is a CFA® charter holder, holds a Bachelor of Commerce degree (First Class Honours in Finance) from the University of Melbourne and is a member of the Bloomberg AusBond Index Advisory Council. Cheline is responsible for the financial operations of BetaShares. Previously, Cheline worked as the Finance Manager of Kaplan Australia Group and worked in Deutsche Banks Management and Information System Reporting division. Prior to Deutsche Bank, Cheline worked with Grant Thornton. Cheline is a member of the Institute of Chartered Accountant Australia. Cheline has a Bachelor of Commerce and Post Graduate Diploma in Information System from the University Of Auckland, New Zealand. Chris is responsible for various marketing activities at BetaShares. Prior to joining the business, he was a content marketing coordinator for the online trading division of National Australia Bank. Chris holds a Bachelor of Commerce, majoring in Finance and Marketing from the University of Sydney. Chris is responsible for supporting the distribution of BetaShares funds to Advisers across NSW & ACT regions. Previously, Chris worked at Leveraged Equities in Distribution as a Business Development Manager and also worked for Macquarie Bank within Private Wealth as an Investment Adviser. Chris holds a Bachelor of Commerce in Finance from the University of Canterbury (New Zealand). Craig is responsible for growing and servicing BetaShares Adviser business clients across Queensland. In this role, Craig is focused on educating advisers about the role and benefits of ETF’s in client portfolios, and sharing updates on the expanding range of strategies available across the BetaShares product suite. Previously, Craig spent over ten years as Regional Manager for Russell Investments in Queensland, along with roles with Superconcepts, Citigroup and Aviva. Craig began his career in financial advice and spent time as an Adviser with KPMG. Craig earned a Bachelor of Arts with Double Major in Economics from the University of Queensland, and Bachelor of Business Majoring in Accounting from Queensland University of Technology. Dale is responsible for supporting the investment and operations functions at Betashares. Dale has previously worked in Treasury Operations and Trade Support at Goldman Sachs, and in ETF Servicing and Investor Services Middle Office at JPMorgan. Dale holds a Bachelor of Commerce from the University of Sydney. Damon is responsible for Adviser Services across the Victoria & Tasmanian regions. Previously Damon held several positions at Russell Investments including that of National Practice Development Manager and was most recently The ETF Investment Specialist. Prior to that Damon held roles at Leveraged Equities, ANZ and Westpac in client advice roles. Damon holds a Diploma of Financial Planning, a Bachelor of Business from Swinburne University and a Graduate Diploma in Applied Taxation and Financial Planning from the University of New South Wales. Dan is responsible for leading BetaShares’ activities with institutional investors. In this capacity, he is focused on working closely with the institutional investor client base on Institutional trends and adoption of ETFs. Dan has extensive experience in the ETF industry. Prior to joining BetaShares, Dan lead coverage of Superannuation Funds, Asset Managers, Institutional Brokers and Insurance companies at iShares Australia. Prior to moving to Australia, Dan was involved at iShares US in their Capital Markets area, where he worked with Global Banks to incorporate Equity and Fixed Income ETFs into their business models to support trading and liquidity of the ETF ecosystem. Dan started his career with AllianceBernstein as an Institutional client relations associate covering US and Canadian Pensions, Corporates, Foundations and Endowments. Dan earned a BA in Economics from St. Lawrence University in 2000. David is responsible for developing economic insights and portfolio construction strategies for adviser and retail clients. Prior to BetaShares, David was an economic columnist for The Australian Financial Review (AFR) for over a decade. Prior to the AFR, David spent several years in the financial markets as a senior economist and interest rate strategist at Bankers Trust and Macquarie Bank. He started his career as a Commonwealth Treasury official, after which he spent three years as a research economist at the Organisation for Economic Cooperation and Development (OECD) in Paris, France. David is the author of two online investment books, including Australia’s most comprehensive book on the local ETF market. He graduated with first class honours from the University of Adelaide, and a Master in Public Policy from the J.F. Kennedy School of Government at Harvard University. David co-founded BetaShares and is responsible for overseeing the financial infrastructure of the business and the implementation of key projects and products. He has experience in the financial services and legal industries in Sydney and New York at firms including Goldman, Sachs & Co, Macquarie Bank and Freehills. He is a director of Apex Capital Partners Pty Ltd, a financial services focused investment firm. He holds a Bachelor of Commerce and a Bachelor of Laws from University of NSW, and an MBA from Stanford Business School. Debbie is responsible for the management of the operations functions, infrastructure, systems and processes within BetaShares. Debbie has senior management experience in financial services firms including Citi Markets & Securities Services, RBC Investor Services and JPMorgan across the areas of Technical Sales, Client Solutions (Solution Design, Change Management and Product Implementations), Operations, and Fund Administration. Debbie holds an Associate Diploma in Business (Accounting). Don is responsible for the portfolio management function of the business. Don previously worked at Macquarie Bank and has experience in structured investment products and fund administration. Don holds a Bachelor of Mathematics and Finance from the University of Wollongong and a Master of Quantitative Finance from the University of Technology, Sydney. Ele is a member of the BetaShares marketing team and is responsible for various marketing strategies across the business. Prior to joining BetaShares, Ele was the Communications Executive at a leading property firm in New Zealand. She holds a Bachelor of Communications degree, majoring in Public Relations. Ilan was a founding team member of BetaShares and is responsible for corporate & product strategy as well as marketing activities in the business. Ilan is a Principal of Apex Capital Partners, a financial services focused investment firm. Previously, Ilan worked for The Boston Consulting Group (BCG), one of the leading global strategy consulting firms. 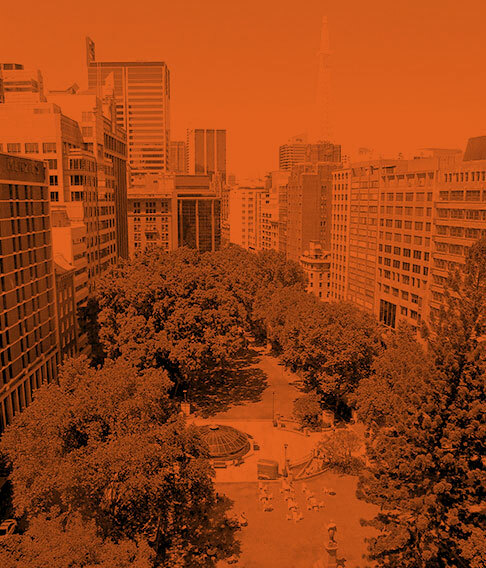 Based in the Sydney and New York offices, his work at BCG focused on the private equity, funds management and broader financial services industries. Prior to joining BCG, Ilan worked in venture capital where he helped to found a technology-oriented venture capital firm. Ilan has a Bachelor of Commerce and LLB from the University of NSW. Isaak is responsible for supporting BetaShares’ distribution activities through Institutional and Intermediary channels. Prior to joining BetaShares, Isaak worked with a Corporate Authorised Representative of ClearView Financial Advice, where he managed trading accounts as well as designed and back tested model portfolios. Isaak holds a Bachelor of Commerce (Finance & Economics) and a Bachelor of Business (Global Business and Strategy) from Bond University. Jason was a founding team member of BetaShares and is responsible for corporate development in the business. Previously, Jason worked in the private equity advisory group at Morgan Stanley in New York and their mergers and acquisitions group in Sydney. He also worked in the investment team at Investec Wentworth Private Equity. Jason’s experience spans mergers and acquisitions, capital markets and general corporate advice, as well as funds management. Jason has a Bachelor of Commerce and LLB from the University of NSW. Jeremy is responsible for supporting the distribution of BetaShares funds to Advisers across NSW & QLD regions. Jeremy has previously worked for Clime Asset Management as a Private Client Advisor and was most recently a Distribution Executive at TAMIM Asset Management. Jeremy holds a Bachelor of Applied Finance from Macquarie University. Jing is a member of the portfolio management team at BetaShares. Before BetaShares, Jing was an Analyst/Trader with Altius Asset Management (Australian Unity), where he helped in the active management of fixed income and cash portfolios. Prior to Altius, Jing was a member of Australian Unity’s internal investments team, which oversaw the strategic and tactical allocation of funds across asset classes. Jing holds a Bachelor of Commerce (Majoring in Actuarial Studies) from the University of Melbourne. Jing is also a CFA charter holder. Justin is senior member of the BetaShares Distribution team responsible for supporting Institutional and Intermediary Broker and Adviser channels. 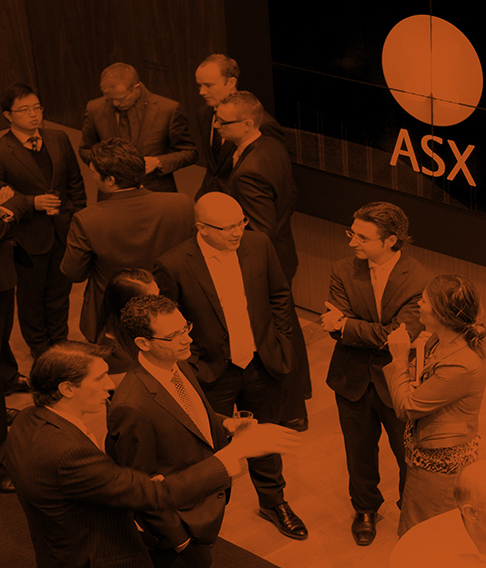 He has over 13 years’ experience in the ETF market, initially in North American and more recently in Australia. Before joining BetaShares, Justin was a V.P. Business Development at Horizons Exchange Traded Funds, one of the largest ETF issuers in North America. This experience in a more developed ETF market has given him excellent insights into the adoption of ETFs offshore which can be translated into the rapidly growing Australian ETF market. Prior to Horizons Justin held various roles within the North American Wealth Management industry. Lauren is a member of the BetaShares marketing team and is responsible for supporting the wider marketing team in creating and delivering marketing materials and communications. Prior to joining BetaShares, Lauren was a Portfolio Administrator at a Sydney-based financial services company. Lauren holds a Bachelor of Business and Commerce (Marketing) (Advanced Business Leadership) with sub-majors in Finance and Financial Planning from Western Sydney University. Louis is responsible for overseeing the portfolio management function at BetaShares. Before joining BetaShares, Louis was a Senior Investment Product Specialist at nabInvest, the direct management business of National Australia Bank, where his responsibilities included developing new investment products for retail and institutional clients. Prior to nabInvest, he worked on the Equity Derivatives desk for Rand Merchant Bank in Sydney, London and Johannesburg, and most recently was responsible for the Structured Investment Products business in Australia. Louis holds a professional qualification as a Chartered Accountant (CA (SA))and is also a CFA Charterholder. He has a Bachelor of Business Science (First Class Hons) and Post Graduate Diploma in Accounting from the University of Cape Town, South Africa. Luke is responsible for supporting the investment and operations functions at BetaShares. Before joining BetaShares, Luke worked as a Financial Analyst for Hyperion Insurance Group, in London. Prior to that, he was a Client Manger at Bell Partners in the field of Business Services & Taxation. Luke is a Chartered Accountant and holds a Diploma in Financial Planning and is currently a Candidate in the CFA program. Mai is responsible for supporting BetaShares’ distribution activities through Institutional and Intermediary channels. 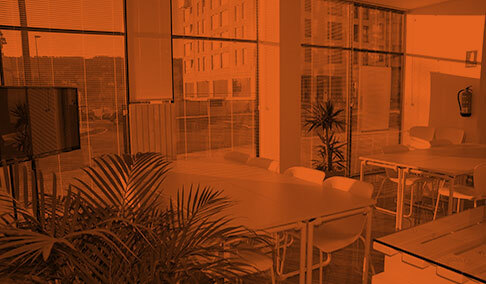 Mai has a strong sales background having worked in numerous distribution teams across the funds management industry. Previously Mai worked at iShares where her responsibilities were educating and promoting ETFs to financial advisers across NSW, QLD and ACT. Prior to iShares, she was a National Relationship Manager with Certitude Global Investments and has also held sales roles within Macquarie Bank. Mai holds a Bachelor of Agricultural Economics and a Master of Business Law from the University of Sydney. Matthew is responsible for the maintenance of the BetaShares compliance framework. Previously Matthew has worked in varied financial services compliance related roles, most recently at ClearView Wealth Limited. Matthew holds a Bachelor of Business from Royal Melbourne Institute of Technology and Bachelor of Laws at the University of New England. Max is a member of the BetaShares Distribution team, responsible for supporting Financial Planning and Broker channels. Max has previously worked in Melbourne as an Associate Stock Broker at Bell Potter Securities. Before that, he worked in sales at an Australian boutique fund manager. Max holds a Bachelor of Commerce majoring in economics from the University of Notre Dame – Sydney. Michael is responsible for supporting BetaShares’ distribution activities through Institutional and Intermediary channels. Previously, Michael was working as an analyst at a boutique fund manager and more recently in business development for a US Software firm. Michael holds a Bachelor of Commerce (Finance) from Macquarie University. Michael is responsible for supporting the investment and operations functions at Betashares. Michael previously worked at Platinum Asset Management, where he was responsible for portfolio accounting and trade support across Platinum’s funds. Prior to Platinum, Michael worked at Perpetual Limited as a Business Transition Associate in Retail Custody. Michael holds a Bachelor of Business from the Western Sydney University. Nicholas is responsible for Data and Analytics in the business. Prior to joining Betashares, he spent 6 years in Analytics at Macquarie’s Wealth Management business and time within Risk and Analytics functions at NAB and CBA. He also spent 5 years in China, where he worked as a consultant covering the mining and metals industry. Nicholas has an undergraduate degree in Computer Science and Chinese Language and a Master of Applied Finance from Macquarie University. As Co-Head of Distribution, Peter is responsible for leading sales strategy and execution across all client segments, as well as leading the firm’s capital markets activities. Prior to BetaShares, Peter worked in Equities and Derivatives Distribution Roles with Macquarie Bank and ABN AMRO (now Royal Bank of Scotland) . Peter has also held roles in Institutional/Corporate FX Sales with ABN AMRO and Fixed Interest with UBS. Peter holds a Bachelor of Economics degree from the University of Sydney, majoring in Finance and Economics. Richard is responsible for BetaShares communications strategy and implementing strategic marketing communications for adviser and investor audiences. Previously, Richard worked as a communications consultant to, among others, the Australian Securities Exchange, the Stockbrokers and Financial Advisers Association, and Kaplan Professional. Richard holds a Bachelor of Arts with Honours in Psychology from Melbourne University, and a Graduate Diploma in Applied Finance and Investment from the Securities Institute of Australia. Roger is a senior advisor to BetaShares, with a particular focus on product development. Roger was previously a Managing Director at Deutsche Bank (Sydney & London), where he ran the EMEA index trading desk, and was involved from inception with the launch of the highly successful db x-trackers ETF platform. Roger has also worked at Macquarie Bank, where he was involved in building the global index swap and delta one trading capability. Prior to his career in the financial markets, Roger was an academic, lecturing in Mechanical and Aeronautical Engineering. Roger has PhD and BE (hons1) degrees from the University of Sydney. He was a Fulbright Scholar in the US in 1988, and is a Fellow of the Financial Services Institute of Australia. Sarah is responsible for marketing activities, campaigns and communications at BetaShares. Prior to joining BetaShares, Sarah worked at Macquarie Bank in their Banking and Financial Services division and was responsible for content marketing across their adviser, business banking and personal businesses. She also spent 5 years with HSBC Bank, in their London headquarters, where she was responsible for small business marketing and campaign management. Shane is involved in managing operations at BetaShares. He has experience in Fund Services. Shane was previously the senior compliance and money laundering reporting officer at The Bank of New York Mellon Corporation & PNC Financial Services Group Inc. in Ireland which provided fund administration and credit institution services. He also held Trustee Services and Fund Administration roles with Citigroup. Shane holds a BA (Hons) in Accounting & Finance from Portobello College in Dublin, Ireland. Sharon is a member of the BetaShares marketing team and is responsible for various marketing activities across the business. Prior to joining BetaShares, Sharon was the Marketing Coordinator at a leading association for financial planners. She holds a Bachelor of Business and Commerce: International Business and Global Management. 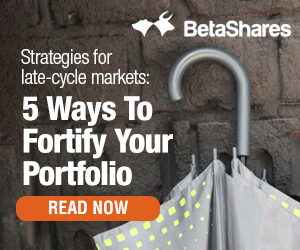 Thong is responsible for the portfolio management function at BetaShares. Before joining BetaShares, Thong was an Equity Analyst at a boutique Funds Management company (Three Pillars Portfolio Managers), where his responsibilities included systems development, risk management and securities analysis across a broad range companies on the Australian Securities Exchange. Prior to TPPM, he worked in the Future Directions multi-manager team at AMP Capital Investors where he was responsible for the manager selection and portfolio construction of a number of multi-manager funds. Thong is a CFA Charter holder and has a Bachelor degree in Actuarial Studies with Honours and a Bachelor degree in Commerce (majoring in Finance) from the Australian National University. Tim is responsible for supporting the investment and operations functions at Betashares. Before joining Betashares, Tim has previously worked in Strategic Projects (Operations), Fund Accounting and Unit Trust Pricing at JPMorgan. Tim holds a Bachelor of Commerce from Curtin University. 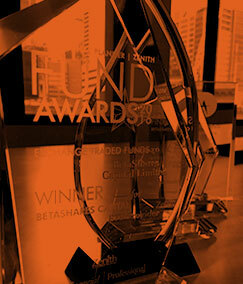 Vinnie is responsible for BetaShares’ distribution strategy to institutional investors and financial advisory groups. Vinnie has extensive experience in the investment management industry. He has held senior distribution roles with ING Australia, Allianz Dresdner Asset Management and Third Link Investment Managers. Prior to that he was Head of Research at AMP Financial Services responsible for fund manager selection & review and model portfolio construction. Vinnie has attained the Certified Investment Management Analyst (CIMA®) designation and holds a Bachelor of Commerce degree. Wenny is a member of BetaShares Finance team responsible for supporting the Financial Controller in statutory and tax compliance, as well as managing day-to-day accounting processes. Prior to joining BetaShares, Wenny worked at A.T. Kearney and PWC Strategy& (formerly known as Booz & Company). Wenny is CPA qualified and holds Bachelor of Commerce (Accounting & Finance) from Curtin University.